JNN 23 Aug 2015 Delhi : India’s Home Minister Ramesh Chennithala will inaugurate an Independence remembrance meeting organized by the Thiruvananthapuram-based Khatheeb’s and Qazi Forum at Highland Auditorium, Thampanoor on August 15. A seminar on the ‘Role of Muslims in Indian Independence Struggle’ will also be held as part of the Independence Day observation by the organization on the same day. It will be inaugurated by KPCC president V M Sudheeran, Indian Express reported. “Muslims played an important role in India’s freedom struggle joining hands with those from other religions. However, as time progressed, their role has been forgotten for one reason or the other,” said Khatheeb’s and Qazi Forum president at the Press Club on Tuesday. The program will be an attempt to defend the bid of a few factions to destroy the society by injecting hatred into the public. It is also a platform to remember and honors those freedom fighters, who irrespective of their faith gave their all to gain freedom for the country,” the organisers said. 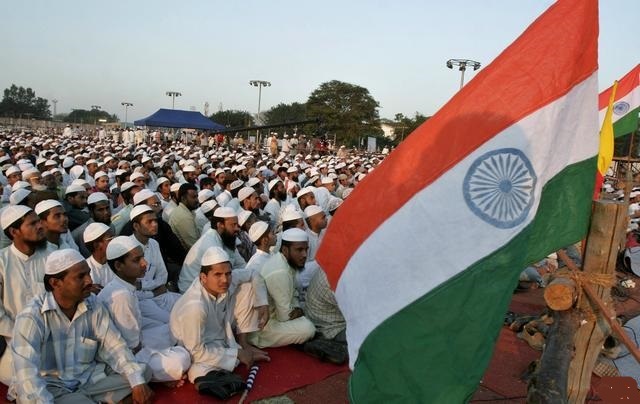 Muslims account for 180 million of India’s 1.1 billion people, the world’s third-largest Muslim population after those of Indonesia and Pakistan. Here it is worth mentioning that the extremism has been highlighted by the International Main Stream Media associated with Muslims around the World , but the actual facts are quite contradictory , as if we see around the world the Buddhist are terrorizing the Myanmar ‘s Rohingya Muslims , but even the World Human Rights Organisations and Political Leaders , who speak loud and clear in favour of Aung San Suu Kyi, who is supposed to be the Democratic Leader of Myanmar , but No Organisation or Most Civilized Nations are Not even issued any condemnation of the Brutal Killings and Alienation of the Muslim Citizens of Myanmar . On the Other Hand the Hindu Extremist Leaders of India , Including the Biggest Terrorist of the World ,Narendra Modi ( according to the Google Search Engine ) , Based on the facts that he was the Man Behind the Gujrat Riots resulting Mass Killings of Muslims in Gujrat , who has even accepted on Record in his recent speeches that it was indian Intelligence agencies ,which were behind the Mass Killing of Muslims of East Pakistan ( Bangladesh ) , to shape up their evil designs , in which they even succeeded. The Worst of all the Jewish Zionist Crimes around the World , and especially on the Palestinians children and women to fulfil their dream of a Greater Israel . In the Light of the above facts it can be easily determined that the Positive Role of Muslims in the Construction of a Peaceful and Harmonious World is Undermined , while their Negative image is being Highlighted , and extremism & terrorism of other Religions is being swept under the Carpet as a Part of a Conspiracy of the World Powers Working against Islam and Muslims. This entry was posted in Asia Pacific, Jafria and tagged Independence Day, india, Indian Independence Struggle, Muslims, Qazi Forum, Ramesh Chennithala, War of Independence. Bookmark the permalink.